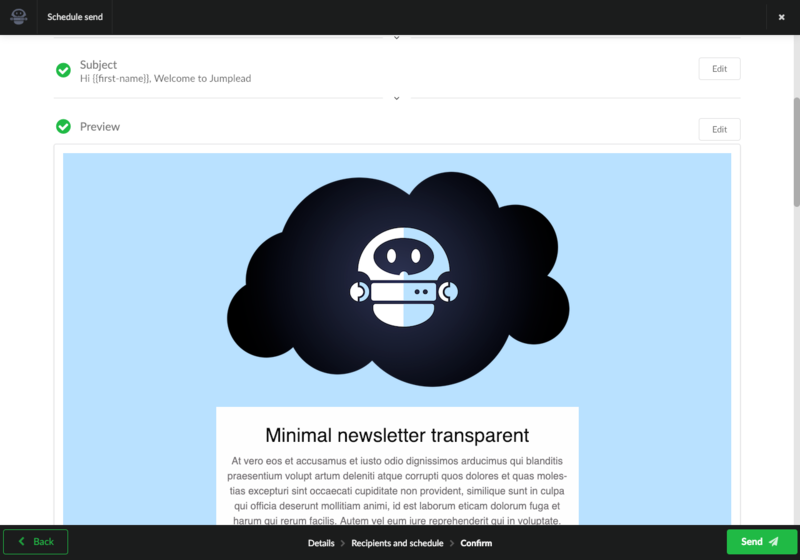 To send an email to one of your contact segments you will need to have first created the contact segment you wish to send your email to, and you need to have created the email you wish to send. 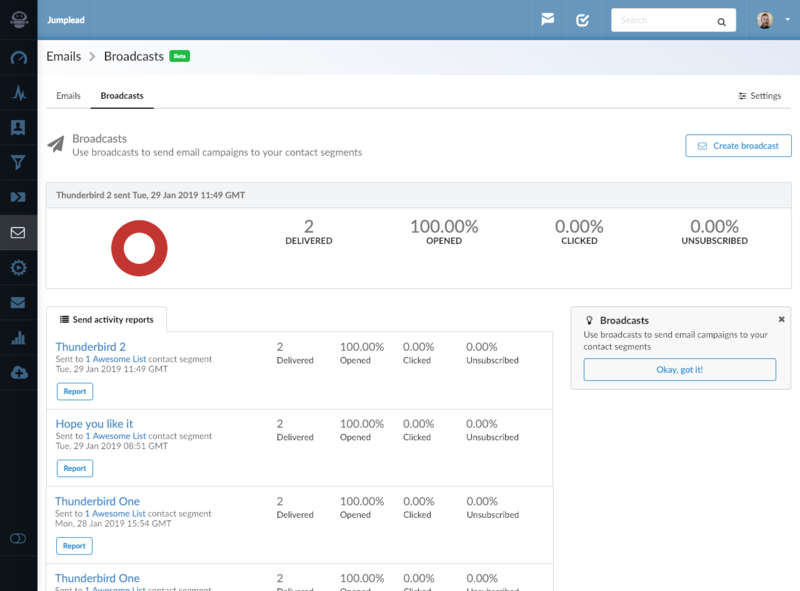 In the 'Broadcasts' tab of the Email section, you will see send activity reports of the email broadcasts you have sent previously. 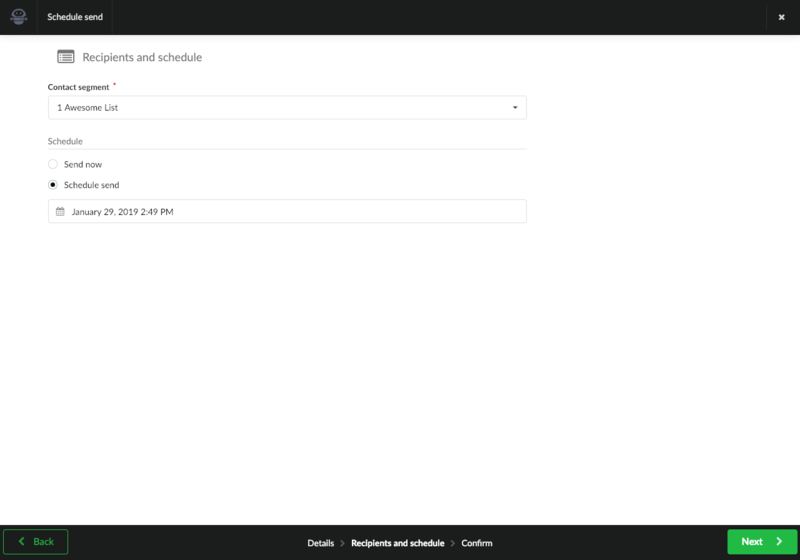 You can click on the 'Report' button to get a detailed report of the individual send activity. To create a new broadcast click the 'Create broadcast' button in the top right of the page. You will be taken to a three step wizard for creating your broadcast. On the first step you'll add details for your send campaign, such as giving your send broadcast a name, adding a Subject for your email (including any merge tags you wish to use) and the From name and From address for your campaign. When you have added these details, click the 'Next' button in the bottom right of the page. 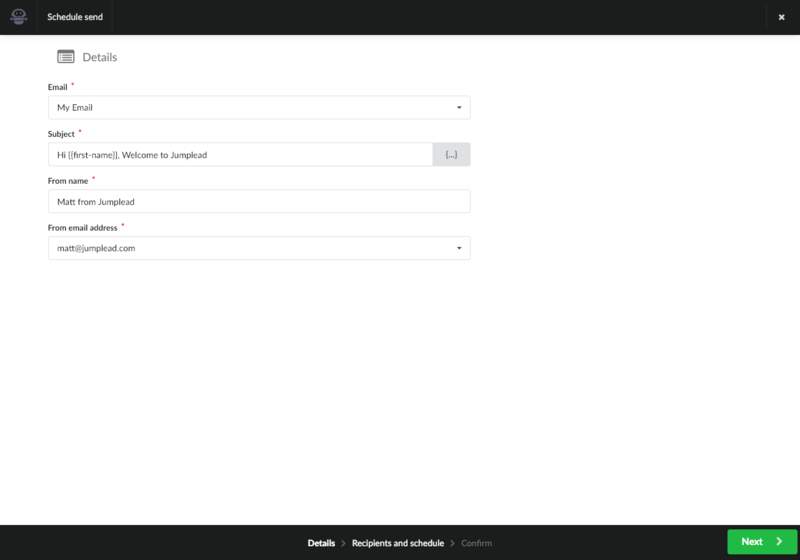 You will then select the contacts list segment you have already created to send to. As well as choosing to either send the email straight away or scheduling it to be sent in the future. 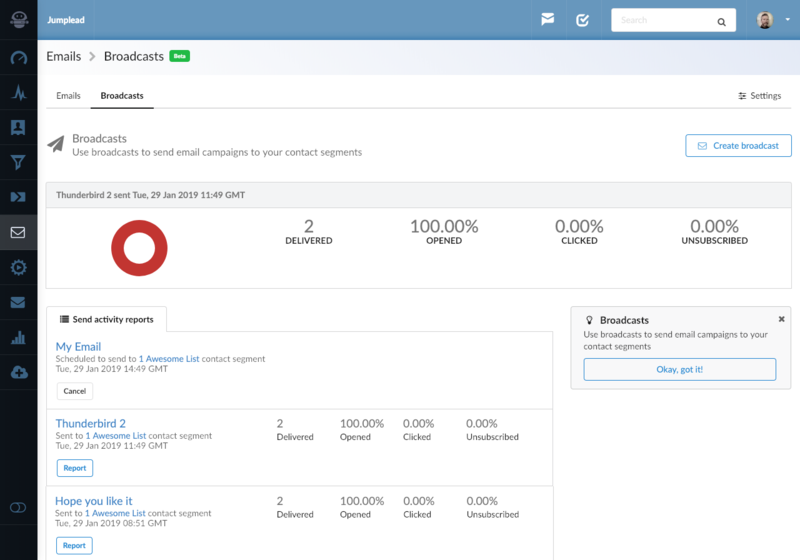 Click 'Next' again and you will be taken to a confirmation page, where you can check over the details of your campaign. If you are happy, click the 'Send' button in the bottom right. Alternatively you can go back and make any changes. Once you click the 'Send' button there is a final confirmation dialogue. 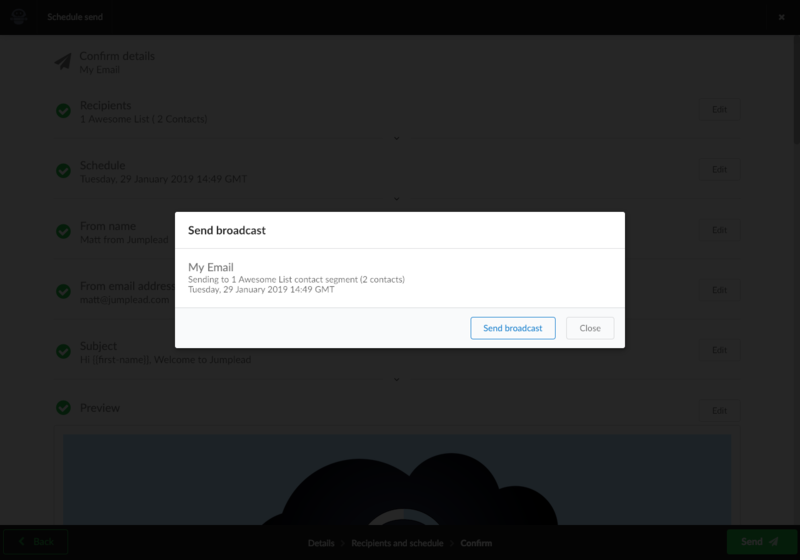 Click send broadcast again and you will be taken to the broadcasts tab, where you can see your campaign is at the top of the page and either in the process of sending or queued for delivery at the date and time you specified.